MELBOURNE forward Jack Watts says he wants to stay at the club beyond 2016, but has admitted he will consider his free agency options during the year. The 2008 No.1 draft pick and his management are yet to open contract discussions with the Demons. As a restricted free agent, Watts could field offers from rival clubs, with the Demons allowed to match a deal should they want to keep the 24-year-old. Watts, who was launching the VRC's Super Saturday at Flemington, wouldn't rule out a move at season's end, but said he was keen to be a part of Melbourne's future. "I think I was on the scrapheap a couple of weeks ago, and then all of a sudden you play a couple of good games and people start talking about you," Watts said on Tuesday. "I'm sure I'll look at [free agency] during the year and speak with my manager and the club. "But with the way Melbourne are looking at the moment, I wouldn't want to be anywhere else to be honest." Fellow forward Jesse Hogan has delayed contract talks with Melbourne until the end of 2016, despite two years still left to run on his current deal. Watts was unsure whether he too would join Hogan in holding off negotiations but said his immediate priority was focusing on his on-field performances. "I haven't really thought about that to be honest," he said. "I'll let it play out. I wouldn't mind playing some reasonable footy first and then speak to the club and get something sorted hopefully." Watts had the chance to start fresh at the end of the 2013 and find a new home during the trade period, but opted to sign a new three-year deal with the Demons. The much-criticised former No.1 draft pick has spent the pre-season training purely as a forward after playing in a variety of positions last year, including on the wing. 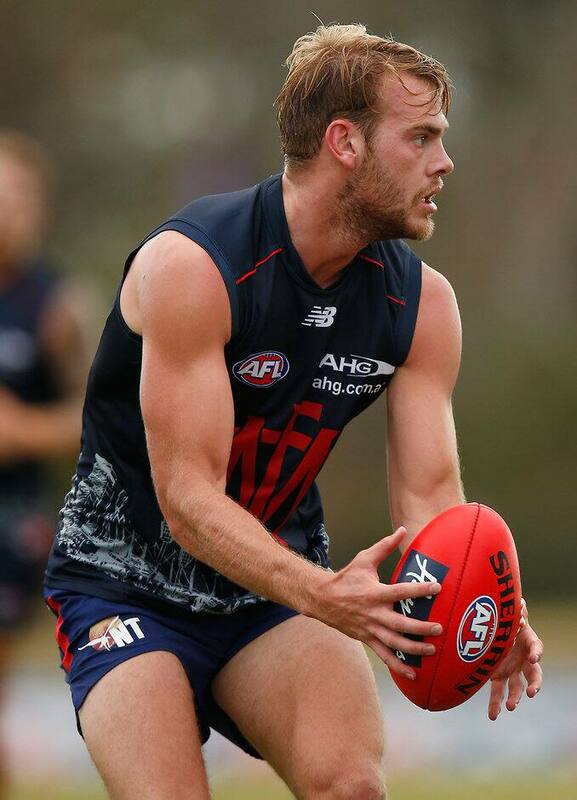 He had 10 marks, 16 disposals and kicked three goals in Melbourne's win over the Bulldogs on Sunday in Craigieburn. Watts said his preference for the season was to play as a forward.